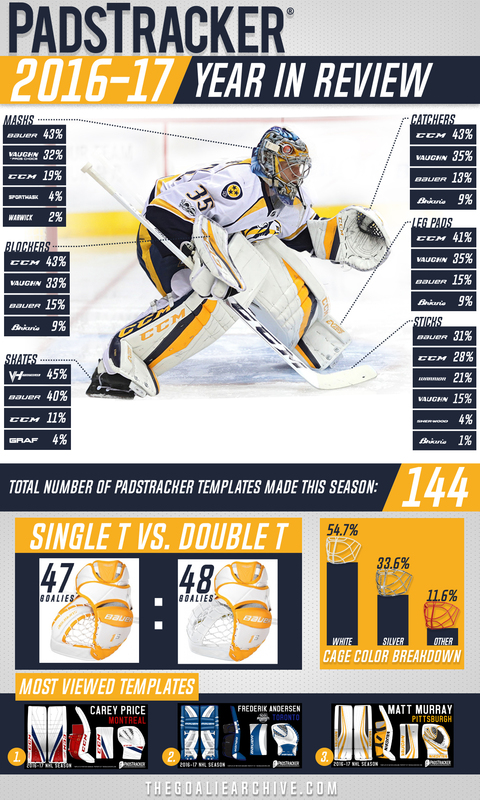 Hey Goalies… with the Stanley Cup final wrapping up, we thought it was time to unveil our 2016-17 NHL PadsTracker “Year in Review” summary. Below is the breakdown of the various brands that goalies were wearing (and we were tracking). Definitely some interesting trends happening in gear this year! Take a look and let us know what you think. Welcome to The Goalie Archive, the new home of PadsTracker!